Get ready for a full day of sightseeing on the next day: explore the activities along Kathleen Lake, see the interesting displays at Da Ku Cultural Center, and then take in the spiritual surroundings of Our Lady of The Way. To find more things to do, maps, and other tourist information, refer to the Haines Junction sightseeing planner . Toronto to Haines Junction is an approximately 12-hour flight. You can also drive. Traveling from Toronto to Haines Junction, you'll gain 3 hours due to the time zone difference. When traveling from Toronto in August, plan for little chillier days and colder nights in Haines Junction: temperatures range from 22°C by day to 5°C at night. Finish up your sightseeing early on the 3rd (Sat) so you can travel to Burwash Landing. Kick off your visit on the 4th (Sun): contemplate the waterfront views at Kluane Lake and then get engrossed in the history at Kluane Museum of History. To find photos, maps, more things to do, and other tourist information, refer to the Burwash Landing road trip planning site . Getting from Haines Junction to Burwash Landing by car takes about 1.5 hours. In August in Burwash Landing, expect temperatures between 22°C during the day and 6°C at night. Finish your sightseeing early on the 4th (Sun) so you can travel to Mayo. On the 5th (Mon), admire the majestic nature at Foret ecologique la Blanche, then examine the collection at Binet House Interpretive Centre, and then see the interesting displays at Keno City Mining Museum. Keep things going the next day: contemplate the waterfront views at Tatshenshini River and then contemplate the waterfront views at Yukon River. To see maps, where to stay, reviews, and more tourist information, read Mayo trip builder site . Traveling by car from Burwash Landing to Mayo takes 7.5 hours. In August, daily temperatures in Mayo can reach 23°C, while at night they dip to 9°C. Finish your sightseeing early on the 6th (Tue) so you can travel to Dawson City. The Town of the City of Dawson, commonly known as Dawson City or Dawson, is a town in Yukon, Canada. Dawson City Museum and Claim 33 Gold Panning will appeal to museum buffs. 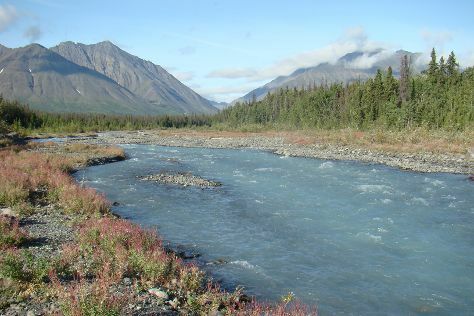 Your inner history buff will appreciate Klondike National Historic Site and Bonanza Creek. There's lots more to do: pause for some serene contemplation at St. Paul's Anglican Church, make a trip to Dredge No. 4 National Historic Site, admire the landmark architecture of Commissioner's Residence, and contemplate the long history of Robert Service Cabin. For reviews, photos, traveler tips, and tourist information, refer to the Dawson City trip itinerary planner. Traveling by car from Mayo to Dawson City takes 3 hours. Expect a daytime high around 23°C in August, and nighttime lows around 7°C. Cap off your sightseeing on the 12th (Mon) early enough to travel to Eagle Plains. 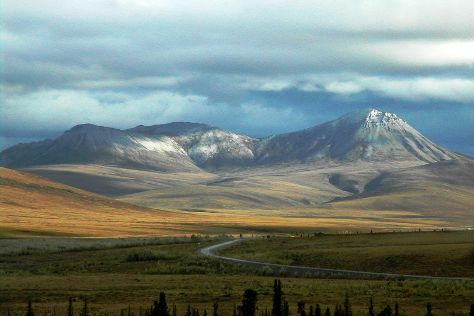 Kick off your visit on the 13th (Tue): cruise along Dempster Highway. For more things to do, traveler tips, other places to visit, and tourist information, use the Eagle Plains trip itinerary maker website . Drive from Dawson City to Eagle Plains in 9 hours. When traveling from Dawson City in August, plan for little chillier days in Eagle Plains, with highs around 15°C, while nights are about the same with lows around 7°C. Finish up your sightseeing early on the 13th (Tue) so you can travel to Watson Lake. 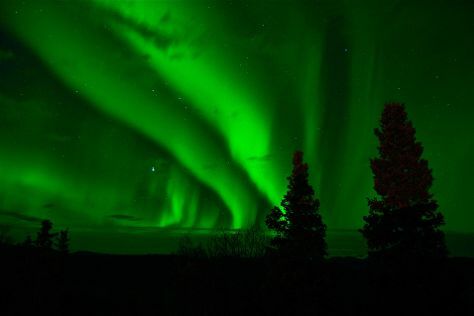 On the 14th (Wed), see the sky in a new way at Northern Lights Centre and then don't miss a visit to Sign Post Forest. To see photos, traveler tips, other places to visit, and more tourist information, use the Watson Lake trip itinerary site . You can drive from Eagle Plains to Watson Lake in 19 hours. Another option is to fly. Traveling from Eagle Plains in August, expect nights in Watson Lake to be about the same, around 9°C, while days are a bit warmer, around 23°C. Wrap up your sightseeing on the 14th (Wed) to allow time to travel to Teslin. On the 15th (Thu), get engrossed in the history at Teslin Tlingit Council Heritage Department, see the interesting displays at Northern Wildlife Museum, and then examine the collection at George Johnston Museum. For maps, photos, where to stay, and tourist information, use the Teslin tour app . Traveling by car from Watson Lake to Teslin takes 3.5 hours. August in Teslin sees daily highs of 22°C and lows of 7°C at night. Finish your sightseeing early on the 15th (Thu) so you can travel to Carcross. Carcross, originally known as Caribou Crossing, is an unincorporated community in Yukon, Canada, on Bennett Lake and Nares Lake. You'll discover tucked-away gems like Caribou Crossing Trading Post and Carcross Desert. Carcross Railway Station and Historic Post Office at Carcross will appeal to history buffs. Next up on the itinerary: pause for some serene contemplation at St Saviours Anglican Church, stop by Matthew Watson General Store, get engrossed in the history at Skookum Jim House, and view the masterpieces at Art House Carcross. Plan a Carcross trip in moments using our itinerary builder. Drive from Teslin to Carcross in 2 hours. In August, plan for daily highs up to 22°C, and evening lows to 10°C. Finish your sightseeing early on the 18th (Sun) so you can travel to Whitehorse. Deepen your sense of the past at sights like White Horse Christ Cathedral and Fort Selkirk. Museum-lovers will get to explore MacBride Museum and Yukon Artists @ Work. There's lots more to do: take in the dramatic natural features at Miles Canyon, identify plant and animal life at Yukon Wildlife Preserve, get a new perspective on nature at Yukon Beringia Interpretive Centre, and play a few rounds at Mountain View Golf Club. To find other places to visit, ratings, photos, and tourist information, use the Whitehorse online route planner . Drive from Carcross to Whitehorse in an hour. August in Whitehorse sees daily highs of 22°C and lows of 10°C at night. Finish your sightseeing early on the 27th (Tue) so you can travel to Toronto. Discover out-of-the-way places like Peterborough Lift Lock and Canadian Warplane Heritage Museum. Niagara-On-The-Lake Hockey and Ripley's Believe It or Not! Museum will appeal to museum buffs. Explore Toronto's surroundings by going to St. George's Anglican Church, Guelph (in Guelph), Hamilton (Dundurn Castle & HMCS Haida National Historic Site) and Peterborough (Canadian Canoe Museum & Riverview Park and Zoo). There's lots more to do: appreciate the extensive heritage of Niagara River Recreation Trail, hike along Niagara Glen Nature Areas, learn about winemaking at Caroline Cellars Winery, and take in nature's colorful creations at Niagara Parks Botanical Gardens. To find reviews, traveler tips, ratings, and tourist information, you can read our Toronto road trip website . Traveling by flight from Whitehorse to Toronto takes 9.5 hours. Alternatively, you can drive; or do a combination of bus and train. The time zone changes from Pacific Standard Time to Eastern Standard Time, which is usually a 3 hour difference. Traveling from Whitehorse in August, expect Toronto to be a bit warmer, temps between 30°C and 20°C. Cap off your sightseeing on the 6th (Fri) early enough to travel back home.